And they're using both 'SSSS' and 'Gridman,' maybe to also appeal to the places where the Americanization aired? I hear a lot of mixed things about Trigger, but I get the sense it's the internet being the internet. What series have they worked on? well he is alive but after his stroke he has not acted. Specium Ray wrote: I hear a lot of mixed things about Trigger, but I get the sense it's the internet being the internet. What series have they worked on? They're best known for "Kill la Kill" and "Little Witch Academia". I haven't seen either of them, but the former attracted a lot of praise when it came out. 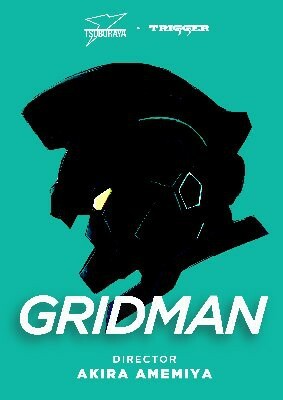 I liked the Gridman short they made, so I'm looking forward to seeing a new series from them. The show's concept is probably easier to work with now than it was 20 years ago, given the ubiquity of electronics and computerization. Looking forward to a ransomware kaiju. hope we get to see scorn,one of the few who talked. The animation looks absolutely beautiful I love this! For years I was kind of hoping theyd do a *Gridman* cameo in one of the Ultra Galaxy films, but this is awesome, cant wait to see it finished. Kill la Kill, Little Witch Academia, and maybe Inferno Cop are their most notable works so far, but they have a nice variety of projects. Here's an English site for the studio (albeit dated), plus a fuller list of their work, courtesy of MyAnimeList. Honestly, I think Trigger is one of the Studios really worth paying attention to right now. When Gainax split, a lot of their significant staff went to to form Trigger. The manic, eccentric energy you see in titles like FLCL and Gurren Lagann are essentially the life blood of many of their works - Kill la Kill shares GL's core creative team, and could totally be considered its spiritual successor - but it's not their sole defining feature. From what I've heard, the general atmosphere of the studio is very friendly and encouraging for its staff and their creativity, and nearly all their shows so far have been stand-outs in one way or another - art style, character designs, sound & music, action, humor, etc. They're a small, but seemingly very healthy studio. 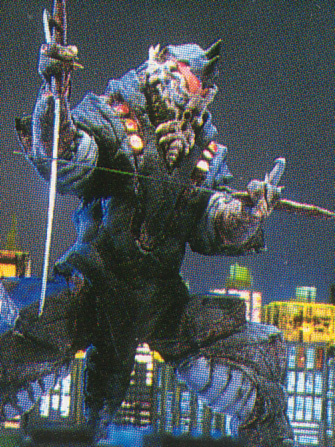 ...So, yeah, Trigger doing a hero/kaiju show is reason for excitement, imo. Was a fan of Superhero Syber Samurai Squad, and had several of the toys. Hopefully this comes to the USA, and I can check it out! ^ I can't remember if the 'SSSS' acronym was ever used for the show back in the day, in merchandise or whatever. i prefer "Superhuman Samurai Syber-Squad Gridman "
^ Uhhhhh... looking at those words is exacerbating my migraine. With Gridman and the kaiju appearing in the real world it feels a bit more Ultraman-esque, right? Just watched the first episode of the new Gridman anime online. THIS is the anime Toho should have given us for Godzilla. I'm not to keen on the human characters, but it's only one episode so far and the Gridman/Kaiju battle was awesome and looked amazing. and it seems that everybody in the west hates this show if The aggregator scores are anything to go by.